Manufacturers often make introduce new deals in January to help entice buyers into showrooms following the Christmas break. If you’re looking for a new car it can be tricky to pick from the numerous deals, reductions, special offers and low rate finance packages, so we’ve rounded up some of the best current offers from all of the major manufacturers. Obviously all of these offers are subject to terms and conditions so check with your local dealer. Audi has a host of special edition models from the A1 hatchback right up to the A8 luxury saloon, offering extra equipment at a reduced cost. For example, the Audi A4 Black Edition offers improved audio system and media interface, sporty alloy wheels, DAB radio parking sensors and various styling extras for £1250 over the cost of an S Line model. The best current offer from Alfa Romeo is five-year extended warranty, available on Giulietta and MiTo models ordered before March 31. The offer also includes free AA roadside assistance. Alfa Romeo is also offering deposit contributions on the Giulietta. BMW has a range of special edition M3 and 1 Series Coupe/Convertible models on offer, giving buyers extra equipment at a reduced price. The Cruze, Orlando, Captiva, Spark and Aveo are all on offer with 0% finance, and Chevrolet is offering £349 fixed price servicing for three years/ 30,000 miles. If you’re interested in the DS5 then Citroen will let you test drive one for 24 hours, and at the cheaper end of Citroen’s range there’s free insurance for a year on the C1,which is available from as little as £99 a month. The latest car brand to launch in the UK also happens to have the lowest priced car on sale in the UK among its ranks. The Sandero can be leased for as little as £69 per month if you can find a deposit of £1845, and if that’s a stretch you can lease it for £99 per month with a deposit of £699. Fiat is running a pre-launch promotion on the upcoming 500L. The offer means buyers get Beats by Dre audio and an alloy wheel upgrade for free. There are also low-rate finance offer on most models in the range. As is typical for Ford, there is a wealth of offers across all of the models in the range with ‘customer saving’ reductions, deposit contributions and competitive finance offers, including ‘payment holidays’ – which gives buyers three months without having to pay their monthly bill. Honda will give you £500 towards the deposit for Jazz models and £1500 towards the deposit on Civic models. Additionally there is 0% finance on most models. Hyundai has 0% finance on the ix35, i20, i30 and Veloster.There is also a cash saving of £1350 off the i10. The XJ can be upgraded from Premium Luxury to Portfolio for free, which can lead to significant savings depending on engine choice and other equipment. There’s also 0% finance on the XJ and XF. Kia has a broad range of current offers including customer savings and low rate finance. Picanto, Rio, Soul, Venga, Pro_Cee’d and Sorento buyers benefit from list price reductions and finance from as low as 0% APR depending on deposit and model. The Range Rover is available on 0% finance. The CT 200h is available with a £1000 deposit allowance, while the rest of the models in the range are available at low APR rates on contract hire purchase. The Mazda2, Mazda3, Mazda5, and MX-5, Mazda will contribute as much as £2500 towards your deposit depending on model. Many Mercedes-Benz models are available with APR rates of below 5%. MINI is offering the 50/50 payment option on a range of models. It allows buyers to pay 50% of the price up front and then nothing for two years, after which they can pay the remainder, part exchange it against a new MINI or just give it back. The L200 pick-up currently has an extended warranty, to 5-years/125,000 miles. Mitsubishi will give you £3000 extra for your trade-in against an Outlander or Shogun and you can upgrade an ASX from 2wd to 4wd for free. The Colt is also reduced in price, offered with 0% VAT and 0% APR on finance. Nissan is offering deposit contributions and APR rates from as low as 0%. Free roadside assistance for three years is available too. Peugeot’s ‘Just Add Fuel’ package, which covers tax, servicing, insurance, breakdown cover and finance in one monthly payment, is offered on 107, 207SW, 207CC, 208, 308, 308SW, 208CC, 3008, 508 and 5008. Buyers who pay cash at Renault dealers can benefit from money off the list price, and 0% APR hire purchase is available on most models. These offers are even available on sporty Renaultsport models. There are reduced prices on various SEAT models for those who want to buy on finance, with significant savings on the Ibiza SC Toca, which has £2705 knocked off the £12,700 list price and has 7.9% APR. Even the all-new Leon is available with a £1000 deposit contribution from SEAT. Skoda is offering to pay £500 towards your deposit and cut the cost of VAT from the Octavia, and it comes with three years free servicing. There are competitive offers on the Citigo, too, with deposits as low as £145 for the S. You can also get the cost of VAT deducted from selected Fabia, Roomster and Superb models. Skoda is offering to pay the equivalent of VAT on selected models, meaning 20% off list prices. 0% APR finance offers are also available and there’s 25% off the Skoda Fabia SE 1.2 69PS model. Finally, Skoda will put £1000 towards the deposit on a Rapid. Subaru is giving XV buyers a £1000 deposit allowance, while Legacy, Forester and Outback buyers get two years interest free credit. There is also three years free servicing on the Forester. 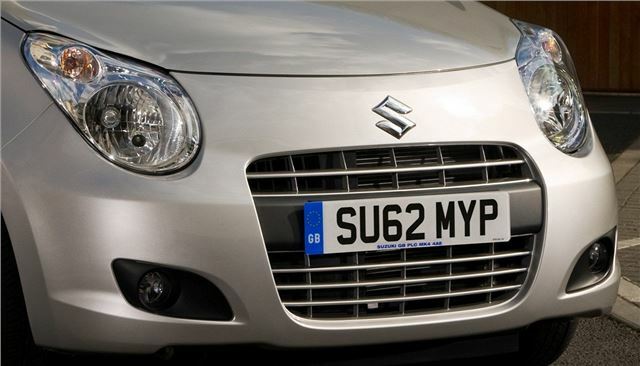 Suzuki is paying the cost of VAT on the Swift, Splash and Alto, making them cost from £8999, £7999 and £5999 respectively. 0% finance is offered to buyers of the Yaris Edition, the Aygo Fire, the Auris Icon, the Verso TR and the Rav4. Vauxhall is offering ‘Flexible Finance’ which allows buyers to tailor their package to suit their term, deposit and monthly repayments. Deposit contributions are also available. The Golf Plus, Jetta, Touran, Touareg and Phaeton all have reduced list prices, with thousands of pounds off. There are also fixed price service packages and low rate finance offers. Volvo is offering three years fixed price servicing and some special edition models like the V60 Business Edition have extra equipment at reduced cost.